Last Night’s dinner was quite popular on my Instagram feed so I thought I’d pop it up here on the blog as well as in the comments for ease of future reference. 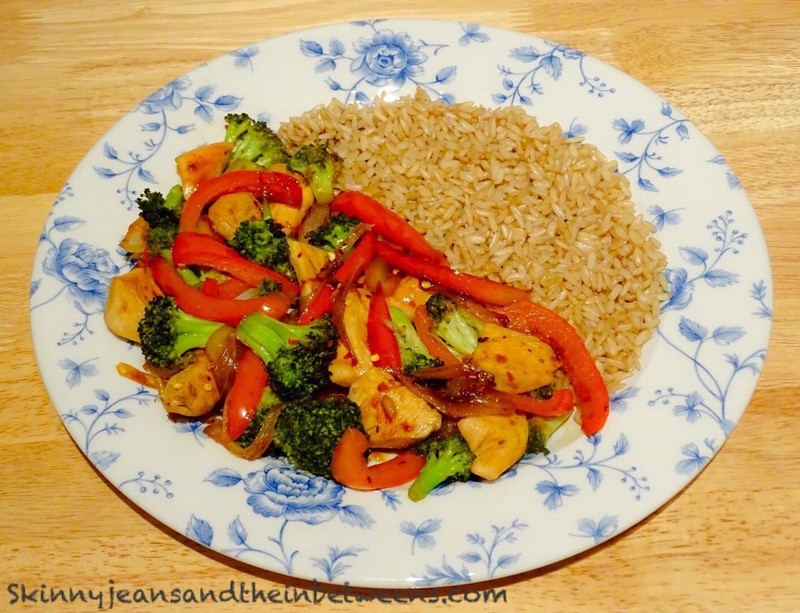 This really is an extremely quick & easy, healthy throw together meal, it only took me 12 minutes to prepare! You don’t even have to prepare the rice or pre-boil the broccoli, I just used pre cooked rice & steamed the broccoli how easy is that! We all need those quick go to dishes that you can fire together at a minute’s notice on a busy evening & this is exactly that! A few pointers that are helpful for all recipes; I always use proper measuring spoons to measure out ingredients so if you don’t have them at your disposal you may have to adjust the seasoning accordingly if using cutlery spoons. Sesame oil is one of my absolute all time favourite store cupboard ingredients, it packs almighty aroma & flavour so if you don’t have any it’s certainly worth investing as it’s inexpensive & lasts absolutely ages, you can also buy it in relatively small bottles. A note worth bearing in mind regarding Sesame oil though, it doesn’t have a very high smoke point which means it doesn’t do well at high temperatures or over heat for a very long time so use it over a medium heat and I usually add it near the end of cooking as a seasoning for flavour rather than using it as your actual cooking oil as such. Spray a large non stick pan over a medium heat with spray oil (I know the pan is non stick, I always find a tiny bit of oil never hurts to brown things up). 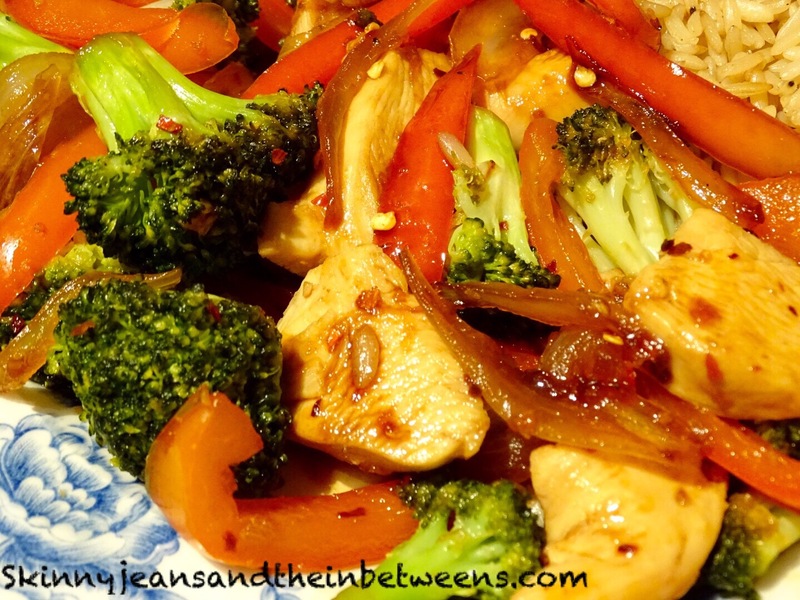 Fry the Chicken pieces for a few minutes to seal & add in the sliced onion, broccoli florets & red pepper slices. Continue to lightly fry for about 5 minutes in total and until Chicken is thoroughly cooked through. Place a large lid over the pan & continue to cook for another 5 minutes or so with the lid in place, this will essentially steam the broccoli to cook it & remove the requirement to faff about pre boiling it & having to prepare different pans of boiling water etc. etc. (you can of course do this instead if preferred & transfer afterwards into pan). Add your crushed garlic (if using) & sauté for approx 30 seconds. Add the Soy, Honey, Chilli Flakes & Sesame oil and stir well. Continue to cook over a medium heat for about 2 minutes to coat the chicken & vegetables and heat the sauce through, it will thicken slightly into a sauce like consistency. Meanwhile heat the precooked rice according to packet instructions ( I stir fried mine in a small separate pan for 2 minutes but only because my microwave is broken this months now, I only have access to one at work, so microwave it if you want it certainly saves cleaning more pans!). 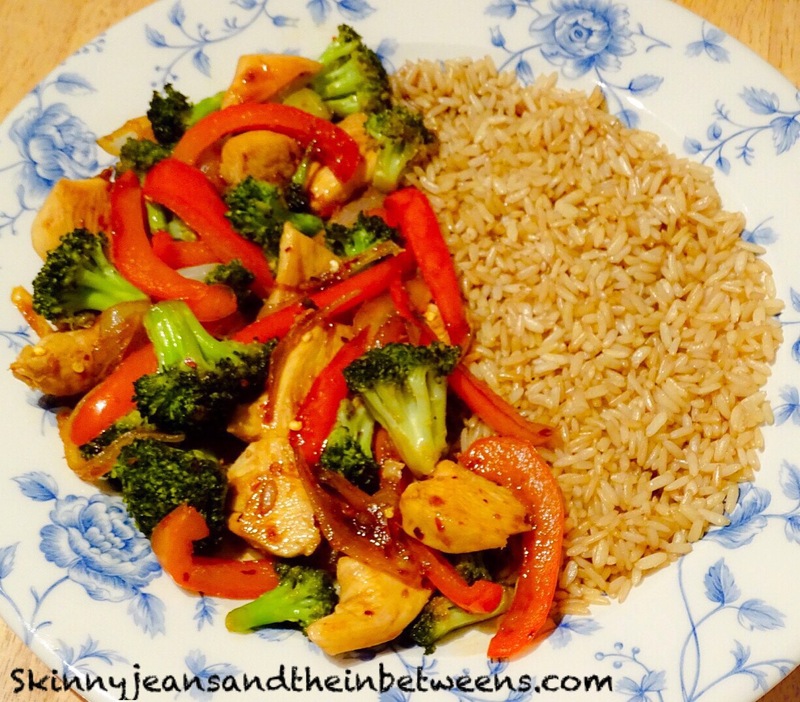 Serve the rice with the Chicken & Broccoli Vegetable mix, pour over any remaining sauce & enjoy!